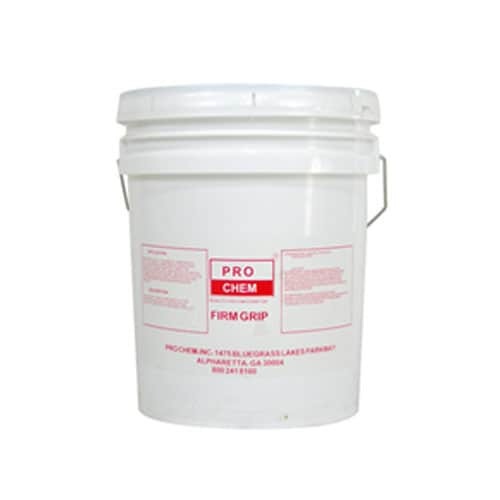 FIRM GRIP | Pro Chem, Inc.
FIRM GRIP is a 100% three-component epoxy compound that produces a highly skid-resistant surface. It is used on areas where slippery conditions exist such as ramps, stairs, walkways and docks. Each 25 pound unit covers 100 square feet, approximately 16 mil thick. Clear aggregate can be mixed into epoxy before application or can be broadcast over area after application. Black aggregate can be broadcast after application only. For a smoother surface, an extra coat of FIRM GRIP epoxy can be applied on top. Surface Preparation: Concrete surfaces must be clean, sound, dry and free of all foreign materials such as oils, grease, loose paint, dust, and laitance. This may be accomplished by sand blasting or scarifying, followed by an air blast to remove dust and debris from the application area. New concrete surfaces should be acid etched, rinsed thoroughly and allowed to dry. Steel surfaces should be sand blasted to SSPC-SP-10 near white. Water blast or mechanical abrading is an alternative method, as long as all rust, scale, paint, and other foreign materials are removed. Steel must be coated same day as cleaned. Wood surfaces should be roughened by sanding. Mix thoroughly 1 volume of Component A with 1 volume of Component B, being sure to scrape the sides and bottom of the mixing container. Apply mixed epoxy by brush, roller or notched trowel. 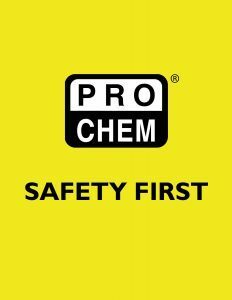 Do not mix more than can be applied in 30 minutes @ 75°F. Broadcast silicon carbide granules evenly over the surface before it starts to set. Pot life: 30-45 minutes @77°F. Limitations: Do not apply when temperature is below 50°F. Do not apply to latex-modified mortar or concrete. Do not place over working control joint.